Good Friday Service of Darkness at 5:30 P.M.
Children's Easter Egg Hunt at 10:30 A.M. This six-session video based small group study is centered on five essentials that will launch your journey to health: faith, food, fitness, focus, and friends. God designed your body to be healthy and he provided everything you need to thrive and live an abundant life. 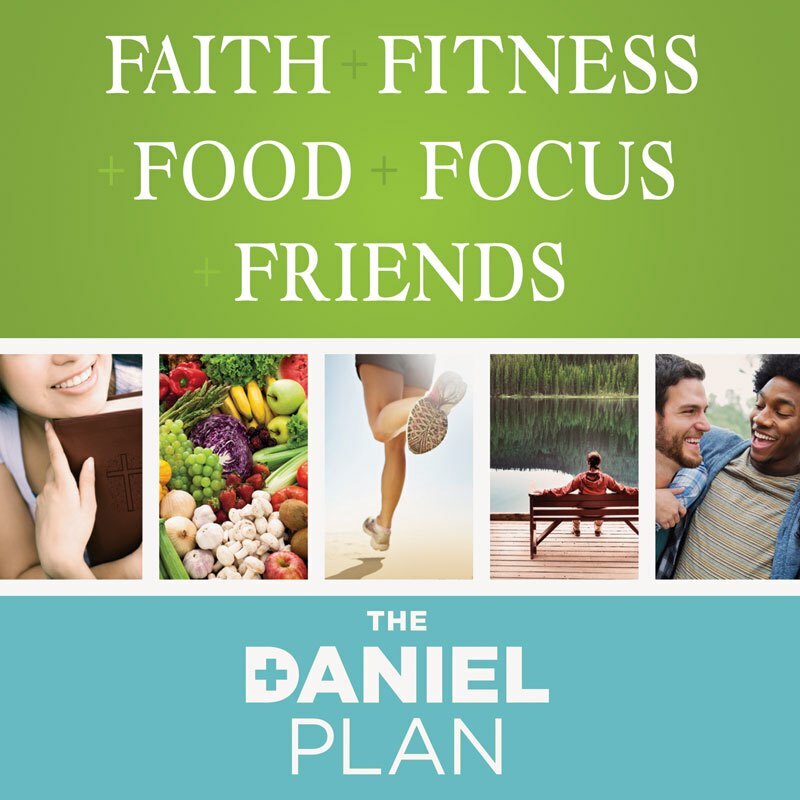 The Daniel Plan small group study teaches simple ways to incorporate healthy choices into your daily lifestyle. As Pastor of Open Bible Lutheran Church, I need to lose about 40 pounds to get my body back where it should be as the temple of the Holy Spirit. I have tried Weightwatchers, Atkins, and other plans, but all have eventually failed. Why I am leading this study? My body is the temple of the Holy Spirit. I need a lifestyle plan for health that incorporates God’s Word. Anyone is welcome to join us for these studies, whether you are overweight or not. Our Memorial Garden had 5 tables and 3 benches that needed to be put together from their shipping crates. Special thanks to Walt Farnsworth and Frank Selvey for doing the work of a 20 year old. I told Walt I couldn't believe how he was on his back screwing in parts for the tables, and then lifting them to their destinations. We have some strong Open Bible members. 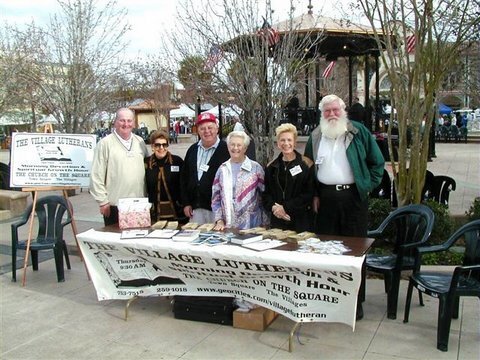 Jim Orcutt has been overseeing the project as the head of the Ad Hoc committees at our church. 7 Memorial stones have been purchased and sent to the engraver. They should be back for placement in another month. The Council approved a recommendation to have 7 stones placed in the garden for the families that helped start our church. These stones will all be black. Further, there will be a section for the pastors of Open Bible and the years that they served our congregation. There is a sprinkler system around the flowers, so they should stay alive during the hot summer. Be sure to take a look out of the fellowship hall windows where food is served after services. 1. Pastor Schulz and Jeanne will be gone for the week after Easter. If there is a local emergency, please contact Pastor Dale. Pastor Dale will be leading us in worship on April 28th. 2. The King of Kings Kids will be putting on a 30 minute musical at Buffalo Crossing on May 13th at 11:00 A.M. A lunch will be served at Open Bible at 11:45-12:15. If you would like to make a contribution to support Christian Education at King of Kings, make your checks out to King of Kings, and place in the box at our Friendship Station. They do a great children's ministry there. 3. If your neighbors have family down over Easter, be sure to invite them to church. (Even if they don't have family) And if they have children, tell them about our children's message on Easter Sunday in the 9:30 A.M. service, and the Easter Egg Hunt in the Fellowship hall, Classroom wing, and Welcome center at 10:30 A.M. Looks like we have 100 eggs that I will hide on Saturday night. Thanks to our Quilters for supplying the special baskets they made.